European Parliament has approved a compromise proposal to extend the program to control emissions of greenhouse gases from aviation for two years. Until the end of 2016, carriers will buy quotas for flights within the EU, Norway and Iceland, and since 2017 the requirements for purchase of quotas will be applied to all flights within the EU. Meanwhile, the active opponent to the European air initiative - Russia - is preparing a set of national measures to limit greenhouse gas emissions from civil aviation. The European Parliament decision will apply to flights operated within the European Economic Area, which includes 28 countries - members of the EU as well as Iceland, Norway and Liechtenstein. For external operators, benefits will be valid during four years. Charges for carbon emissions from aviation are one of the most controversial issues of climate regulation. Two years ago the EU included aviation in the emissions trading system (ETS) existing since 2005. It was planned that, on the basis of reports of airlines, they would have 85 % of free quotas. With the threshold being exceeded, the missing share is supposed to be bought at auction. After many difficulties at the ETS market, it was decided to give the aviation two years to align reporting of greenhouse gas emissions in 2013-2014. The reports shall be prepared before March 31, 2015, and emission permissions shall be produced by April 30, 2015. The rules will apply to all operators, regardless of the country of registration. Airlines from countries outside the EU, flying between airports within the European Economic Area, will also be required to keep records of carbon dioxide emissions on these routes and thus buy emission quotas. Meanwhile, according to the Russian Ministry of Transport, the process of "climate harmonization" of Russian aviation is in full swing - the second phase of "Formation of proposals for a package of measures to limit greenhouse gas emissions in the Russian civil aviation and to develop preliminary version of its plan implementation" was completed in December 2013. According to the Ministry, practical measures to limit greenhouse gas emissions are implemented within the Transport Strategy of the Russian Federation for the period till 2030, the National Action Plan to reduce greenhouse gas emissions from civil aviation approved in 2013, and the document of the International Civil Aviation Organization (ICAO) “Guidance for development of national action plans to reduce CO2 emissions." 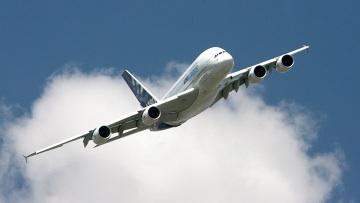 In the first place, renewal of airlines fleet will be carries out. The Ministry of Transport reports that "due to supply of modern aircraft, leading airlines annually update and expand the fleet by 10-15 %. In 2011-2013, airline got annually 130 mainline and regional passenger aircraft, on the average, of which more than 95 % correspond to the current level of fuel efficiency."